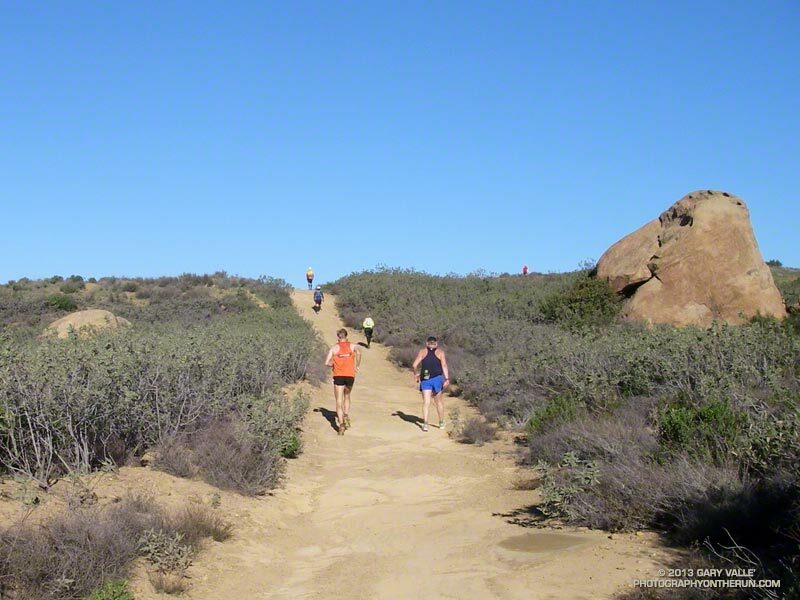 Photography on the Run: Eventual 30K winner Kyle Robinson (orange singlet) cruises up a short hill on Rocky Peak Road at about mile 4.7 of the 30K/50K. The 30K started 30 minutes after the 50K. Eventual 30K winner Kyle Robinson (orange singlet) cruises up a short hill on Rocky Peak Road at about mile 4.7 of the 30K/50K. The 30K started 30 minutes after the 50K. If you found this page using a search engine, read more about this photograph here. Copyright © 1995-2019 Gary Valle'. All Rights Reserved.